Gena Healthy Hoof Lacquer Ultra shiny quick drying top coat 4oz. 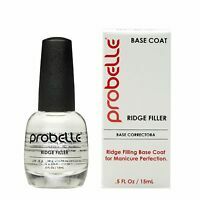 I have used this product several times and it does not stay on my nails, it peals off. My nails continue to break, and are strengthened, so I am not pleased with this product. 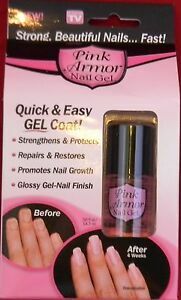 I am so glad to find a vendor who sells the real Pink Armour Gel. The nail polish has a nice pink color, handy peel off coating and has a defining light oder.